First, this is what’s next: The law will officially become law once Governor Jay Inslee gives it his signature. He has previously implied that he would do so. His signature means WSU is no longer prohibited from operating a medical school, which was the case thanks to a 1917 law that divided up areas of study between WSU and UW. As has been noted previously here and in other places, the bill does not have funding attached to it, meaning while WSU can operate a medical school, it still needs to find the funding. 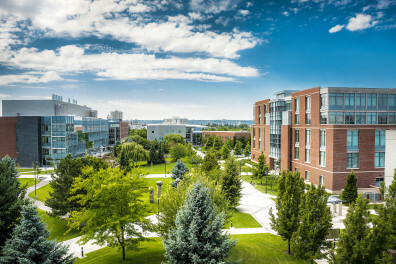 WSU has asked for $2.5 million for 2015-2017 to work through the accreditation process. The House is expected to release its first budget proposal this Friday. From there, the Senate should release its proposal in the days after, and both chambers will then negotiate a final budget. The legislative session is scheduled to end on April 26. There is always the chance for a special session, however. Each chamber – the House and Senate – had identical med school bills. Both bills had to go through various committee hearings and votes to advance. Even though there was no money attached to either bill, the bills did have budget implications, so they also went to the respective budget committees for further hearings and votes. Once each bill advanced through the various committees, it came to full chamber votes in both the House and the Senate. Both chambers voted in favor of the bills. From there, one chamber had to decide to adopt the other’s for a final vote. In this case, the Senate chose to vote on the House version of the bill. That resulted in today’s vote. The legislature’s action today will help provide for more opportunities for prospective medical students from Washington. It also helps the state work toward graduating more doctors to work in rural and underserved areas.